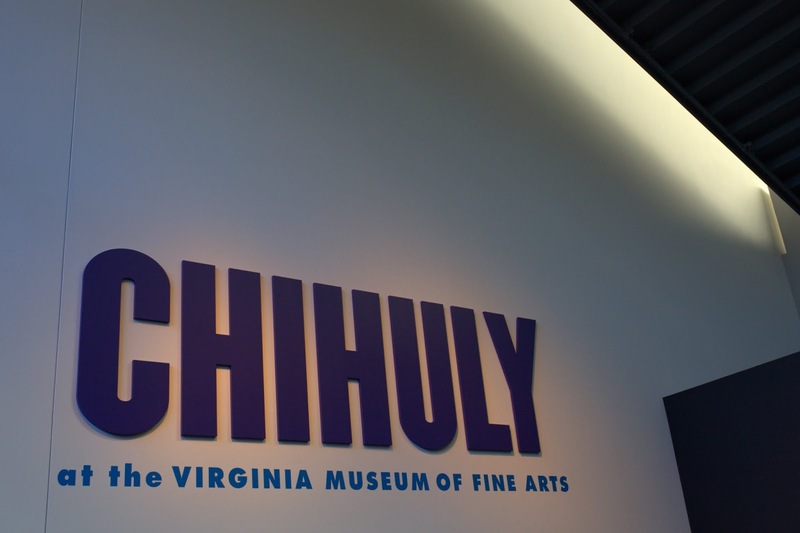 We went to see the Chihuly exhibit at the Virginia Museum of Fine Arts today. It is amazing. I really appreciate his work and his policy allowing educational and non-commercial photography of his work. Please enjoy this mini-tour as captured by my camera. The pictures show the colors and some of the glory of the work but they are no substitute for seeing them in person. The descriptions are from the text presented with each display at the VMFA. I hope my photos inspire you to make the trip to Richmond to experience it in person. Better hurry through the show ends February 10, 2013. All the photographs were taken with a Canon 5D Mark II with either a 35mm prime lens or a 100mm macro lens. FIORI AND FLOAT BOATS - They would get in their boats and go down and collect the glass—it looked so stunning in the rowboat—that was a whole new idea for me, and it’s one that I still use today. 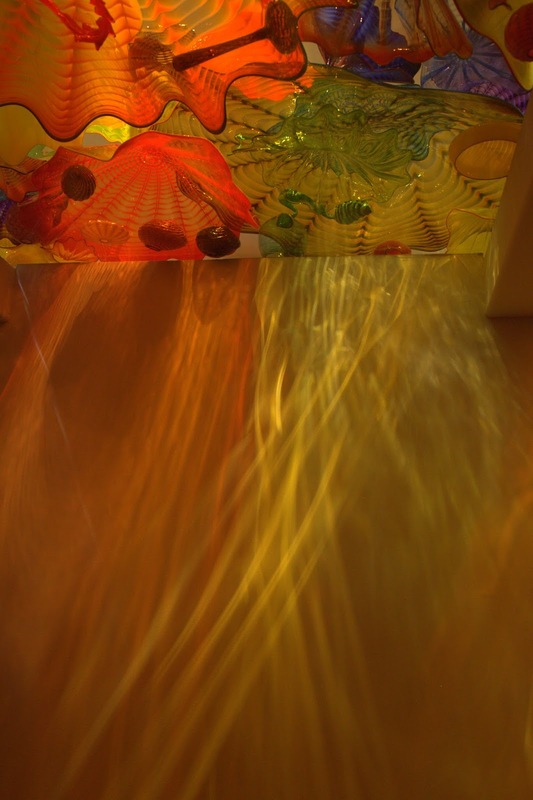 This installation includes two of Chihuly’s wooden rowboats, one filled with Fiori elements and another with Niijima Floats. 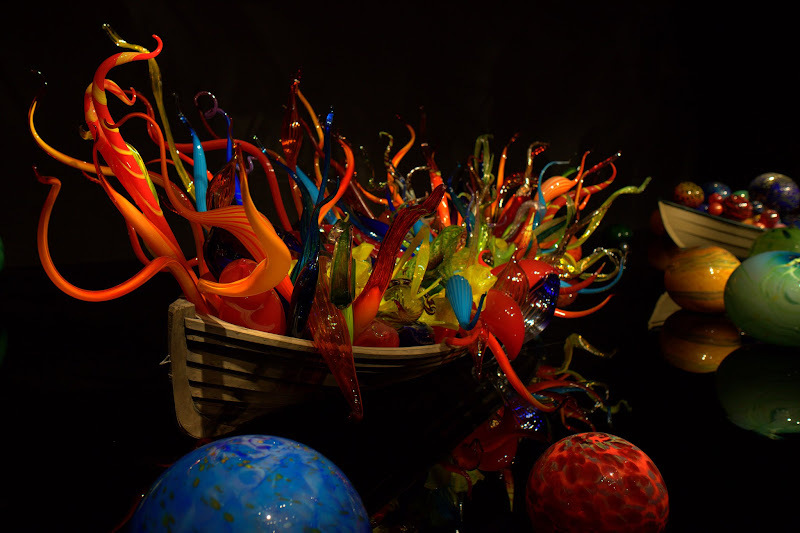 The Fiori Boat features various garden glass shapes and forms inspired by Chihuly’s love of gardens and conservatories. Niijima Floats were inspired by the artist’s trip to the Japanese island of Niijima and by childhood memories of discovering Japanese fishing net floats along the beaches of Puget Sound. 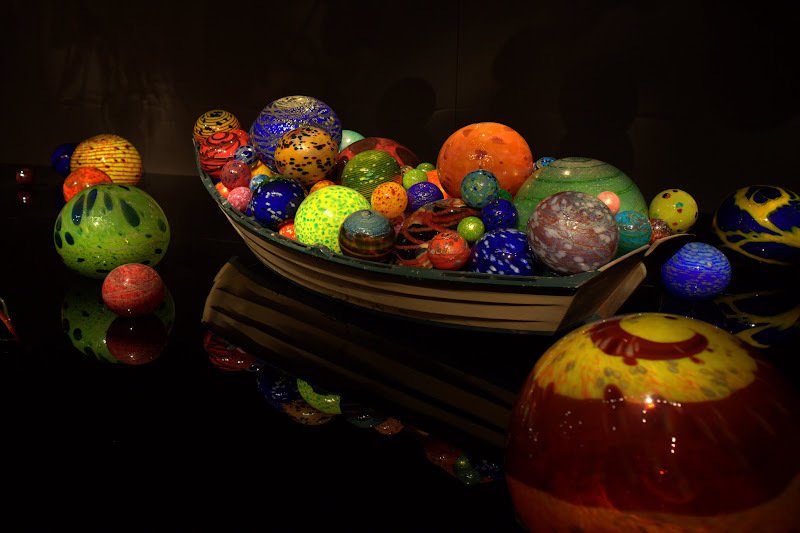 Chihuly first filled boats with his glass pieces in Nuutajärvi, Finland, during the Chihuly Over Venice project in June 1995. Wondering if the glass would float, Chihuly began tossing works into the river and let them float downstream. Local teenagers in small, wooden rowboats gathered them up. PERSIAN CEILING - The Persians—that’s one of the most difficult series to describe. It started off that they were geometric shapes, I think—it was a search for new forms. It was so interesting, what came out of it—we worked for a year only on doing experimental Persians—so I got to pick and choose from these parts and develop a new series. It has changed in many ways over the years. Chihuly began the Persians series in 1986 while experimenting with new forms. Originally, he displayed Persians in pedestal compositions, often with smaller shapes nested in larger pieces. The first Persian Ceiling was presented in his 1992 exhibition at the Seattle Art Museum. 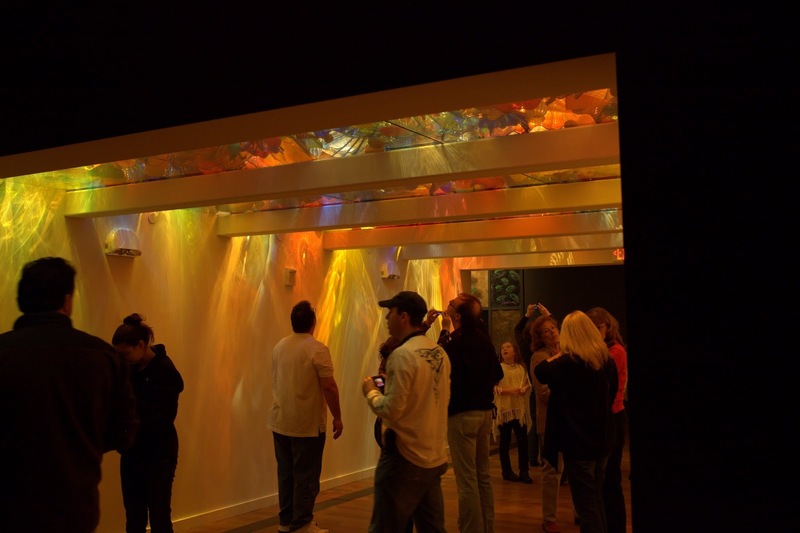 Lit from above and resting on a flat glass pane, the elements of the Persian Ceiling come together to provide an immersive experience in color and shape. There are over a thousand Persian pieces in this installation. Chihuly chose the name for this series after asking his friend, artist Italo Scanga, for the Italian word for “spotted” or “stained.” Initially quite small, the Macchia grew in size and, like earlier works, were amassed into groupings or “families.” The Macchia here are installed together on pedestals in a group called a Macchia Forest. This is a detail of a very small part of the piece called LAGUNA TORCELLO. 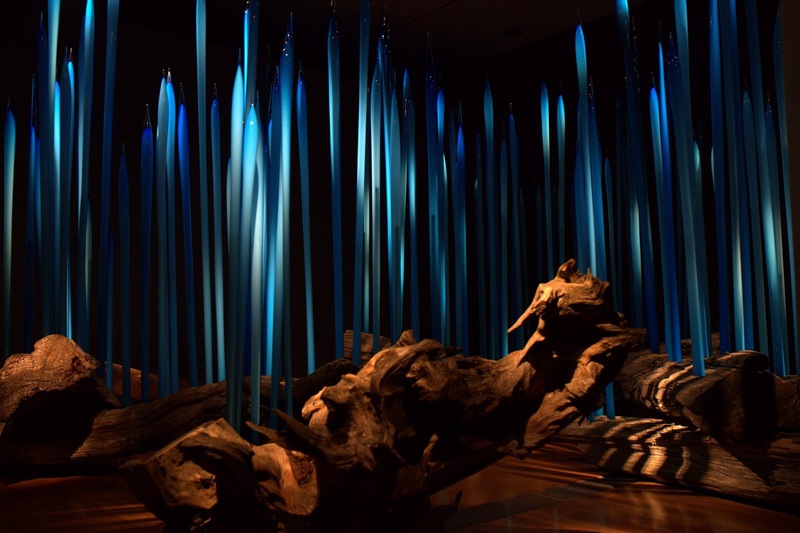 Installations of Reeds, or Spears as they were first named, began when Chihuly was working in Finland in 1995. 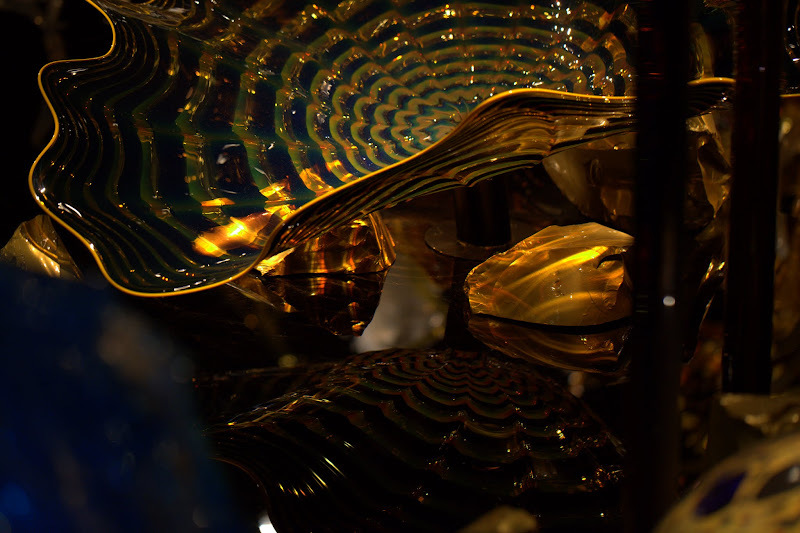 The first time Chihuly combined Reeds and logs was for an installation at the Marlborough Gallery in New York. 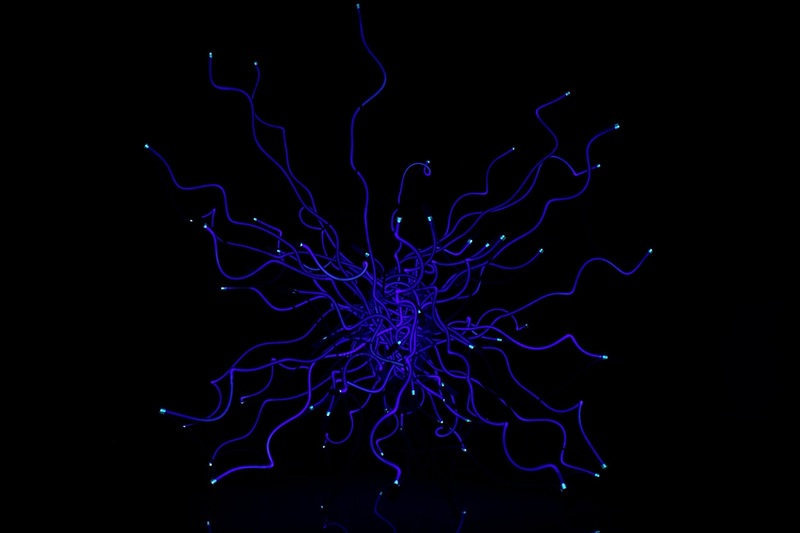 Since then, he has continued to create these works in various colors, installing the series both outdoors and indoors. 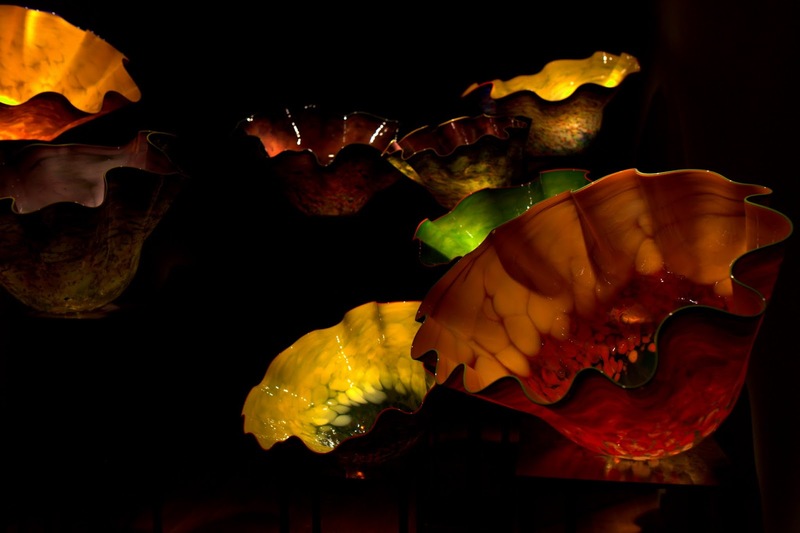 Chihuly's work is absolutely beautiful and your photos really show this! Great work David! OMG! I feel as though I have been doused in a cool waterfall of color. This elevates the mood like no other!